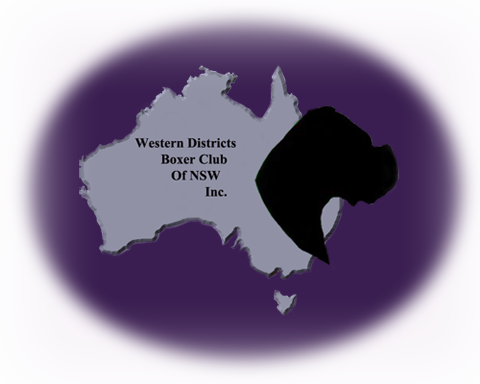 The Western Districts Boxer Club, meets bi-monthly on the third Tuesday in the month for our members to discuss issues affecting our club and the Boxer breed. This is also the forum to plan for future events such as our annual specialty shows. The venue for meetings is the Bill Spilstead Complex for Canine Affairs, 44 Luddenham Road, Orchard Hills NSW, usually in the Gordon Douglas Building commencing at 8pm. Visitors are most welcome. The Club’s AGM is held in September. For further details please contact the Secretary. The Club’s annual presentation will be held each year after the Good Friday Ch. Show . Presentation will include the Pointscore competition winners/finalists, new champions and any other award/s that members have applied for and are entitled to receive. Personal invitations will be sent prior to the show. Family and friends are most welcome.